With Jorginho not starting against Malmo, the FC guys explain how Maurizio Sarri missed the perfect opportunity to play N'Golo Kante in his preferred position. UEFA have opened disciplinary proceedings against Chelsea over the conduct of their supporters during Thursday's 2-1 win over Malmo in the Europa League round of 32. The charges specify the throwing of objects in the stands and a field invasion by several supporters on the final whistle -- one of whom caused security concerns by grabbing winger Eden Hazard and refusing to let go until the Belgian gave him his match shirt. 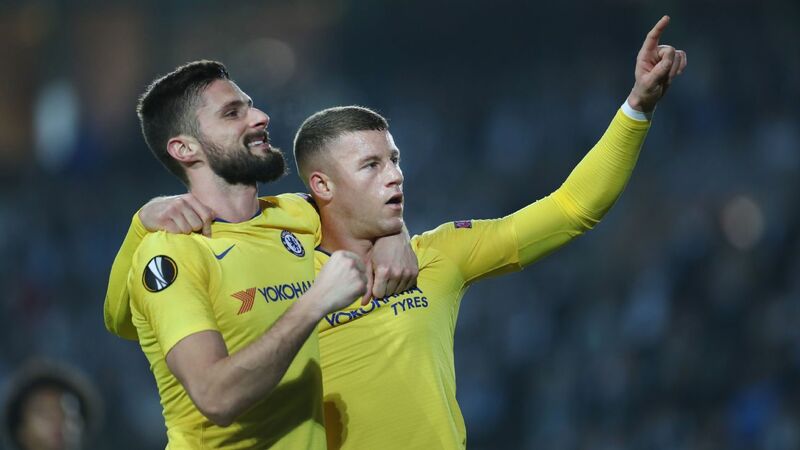 Ross Barkley and Olivier Giroud each scored as Chelsea beat Swedish side Malmo FF 2-1 in Europa League group-of-32 action on Thursday night. The win at Swedbank Stadion provides a bit a relief for embattled boss Maurizio Sarri following Sunday's 6-0 drubbing to Manchester City and ahead of a FA Cup clash with Manchester United. The Blues took the lead in the 30th minute when Malmo defender Lasse Nielsen had trouble clearing the ball, allowing Barkley to jump in and get the score.